While trying to get to as many U.N.E.S.C.O. World Heritage Sites as possible, I stumbled across this gem. After eating and drinking my way across Helsinki like Ms. Pacman, it was time for this girl to take a walk, a long walk. I went off by myself to “collect” a heritage site. 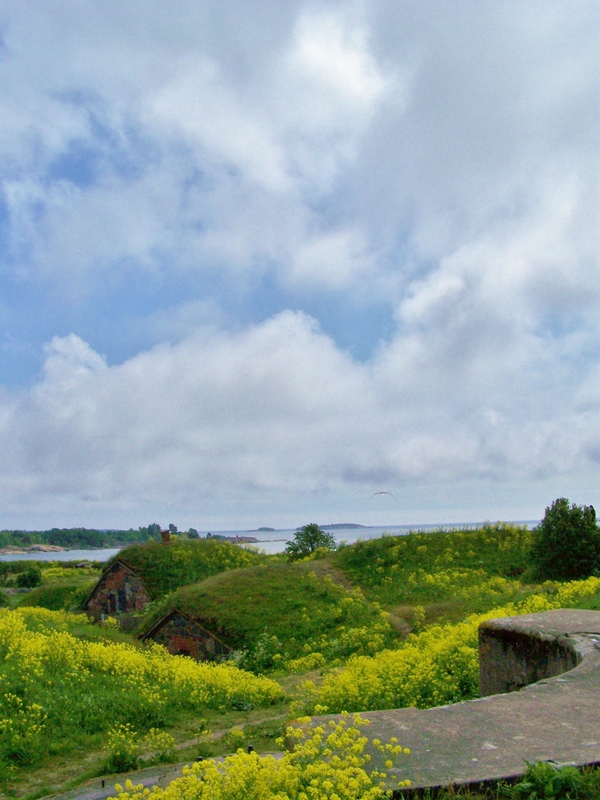 Perhaps I expected a boring museum walk, but I literally was blown away with the natural beauty of the fortress and Suomenlinna will always remain in my memory as one of my favorite visits. I am not a photographer in any sense of the word but every once in a while, I get home from a trip and the photos seem to take on a life of their own. I literally took hundreds of photos that take my breath away. 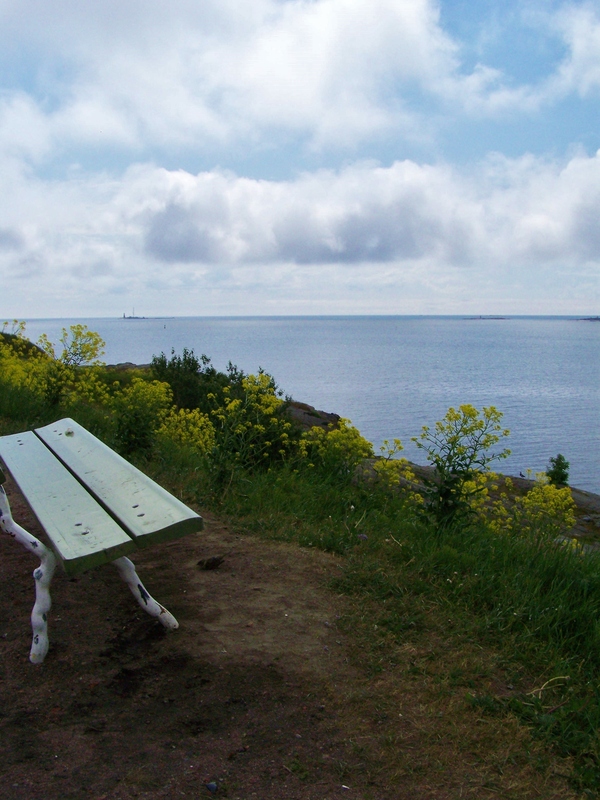 Myself, a nature lover, one can see park like settings, migratory birds, sea, boats, ships, meadows and cliffs. 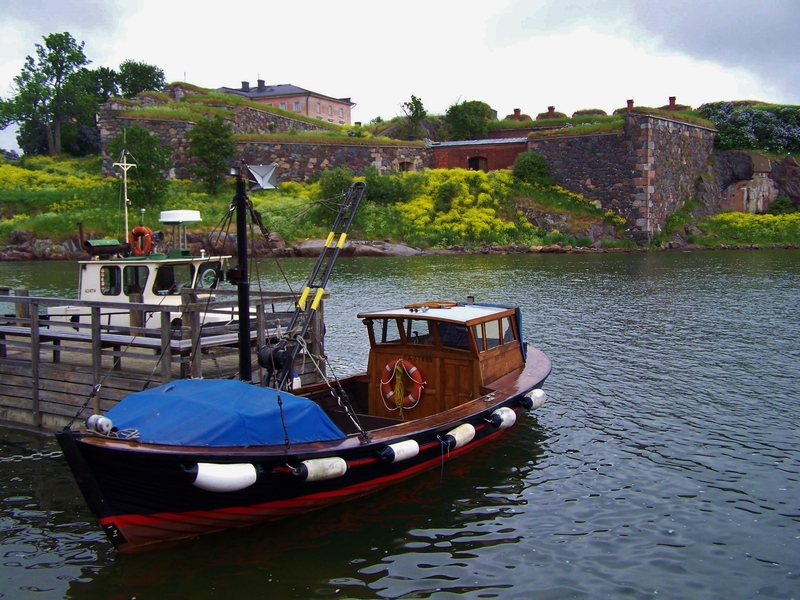 I know that there is Google and Wikipedia but here are a few quick helpful facts: Suomenlinna is technically in the district of the city of Helsinki located on a group of islands just off the shore of Helsinki. 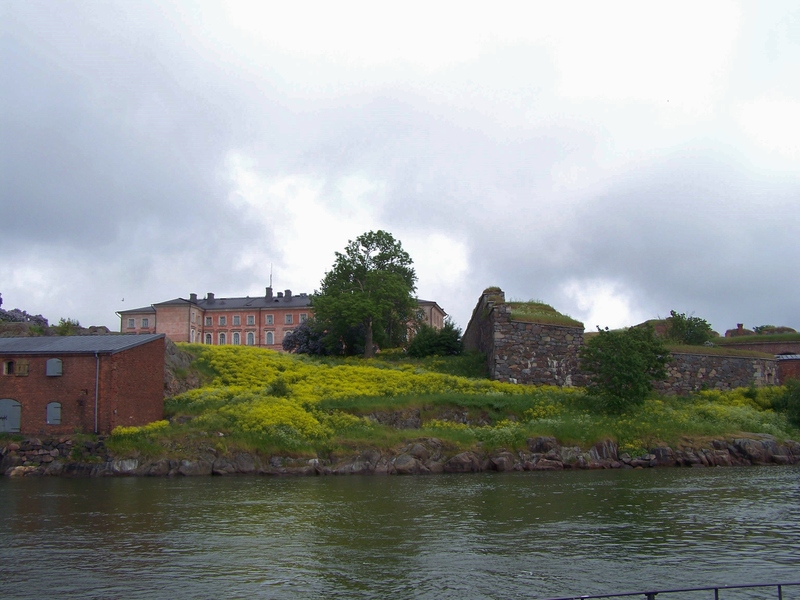 Built on a cluster of six rocky skerries,historically and geographically, the place was extremely important as a sea fortress for defense of Helsinki and this city’s first “aquatic superhighway.” Like any hot property, it was fought over and became the property of three sovereign states. 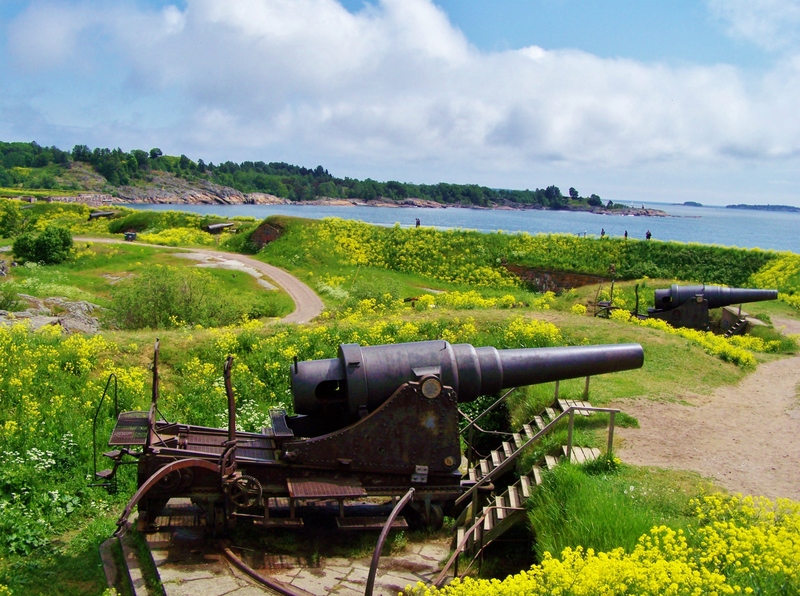 Built by the Swedish in the 1700’s and called Sveaborg, it fell to Russian Rule in the 19th century lasting 110 years, and finally in 1918, the Finnish era began. The island was given to the Ministry of Culture and Education in 1973. A U.N.E.S.C.O world heritage site in 1991. A truly unique monument of European military architecture of the times. The only way to get to the island is by boat. 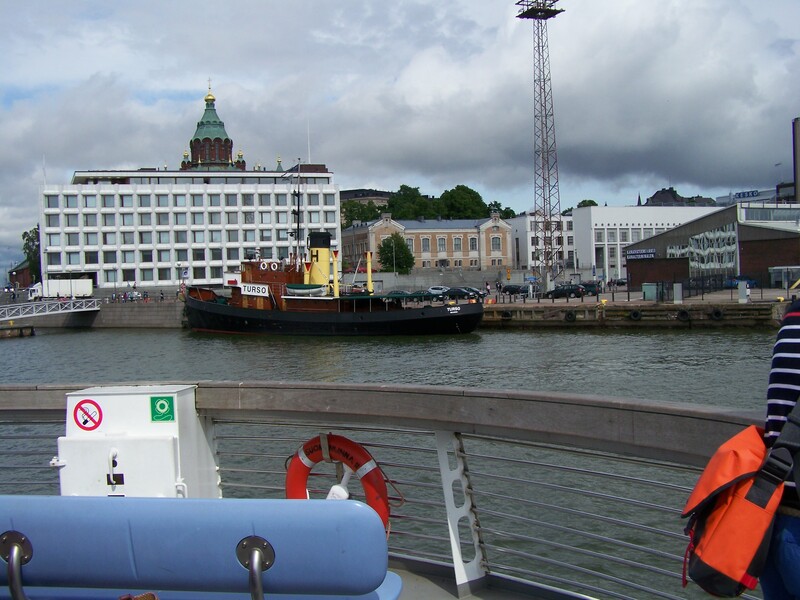 There is a public transit HSL ferry crossing leaving from Helsinki port and near the awesome market. 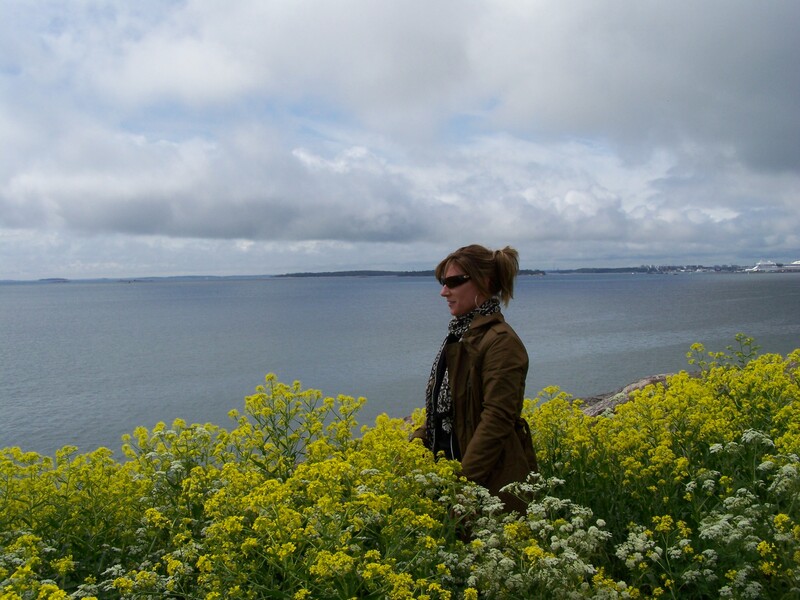 The trip in and of itself is a trip; an opportunity to see Helsinki from the sea. A short 15 minutes and a visitor center is available when you get off of the boat. Suomenlinna Museum has interactive touch button exhibits that help give a quick overview. You can do this at your pace and interest. A car free zone, with exception for work vehicles. I found it very safe and one finds guides and signage along the way. Maps are available. Bikes are allowed but on roads only. In my humble opinion, it is best seen by hoofing it. The superb visitor website states that there is something for everyone, I completely agree. From the; six well done museums, art, cafes, history, breweries, an interesting and operating Church, submarine Vesko museum, tunnels, graves, buildings, dry dock and one picturesque natural landscape. I also note that there are dozens of historical sites underwater. Dive anyone? The top three sites according to the Visitor website are; King’s Gate, The Great Courtyard and The Dock’s. Just another view, no big deal! Historic buildings and a museum surround this area, which were damaged in the Crimean War of 1855. The Great Courtyard-grave of Augustin Ehrensvard. Historic buildings and a museum surround this area, which were damaged in the Crimean War of 1855. The Docks one of the oldest dry docks operating in Europe still used for repairing wooden ships. Here are a few other things that I was interested in. 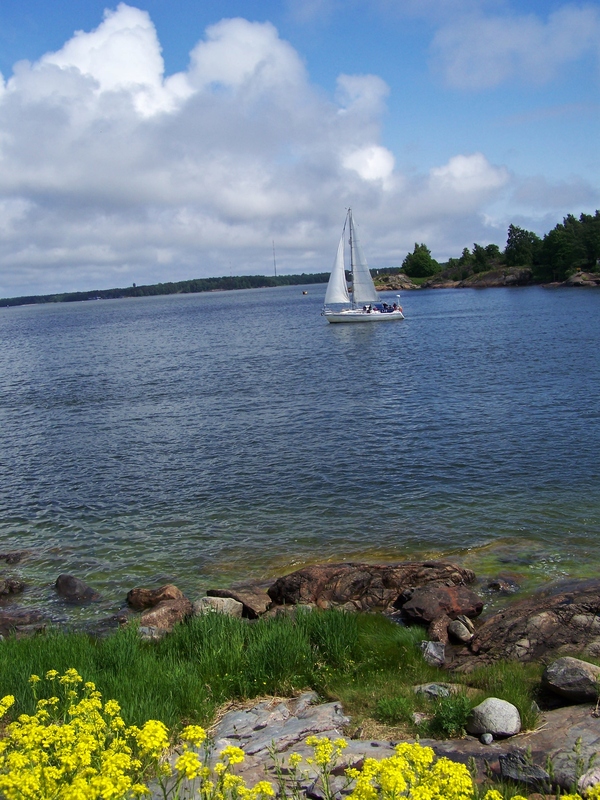 I loved watching cruise ships sail through the Kustaanmiekka strait. On the day that I visited, there were many private boats and it was so interesting to watch. 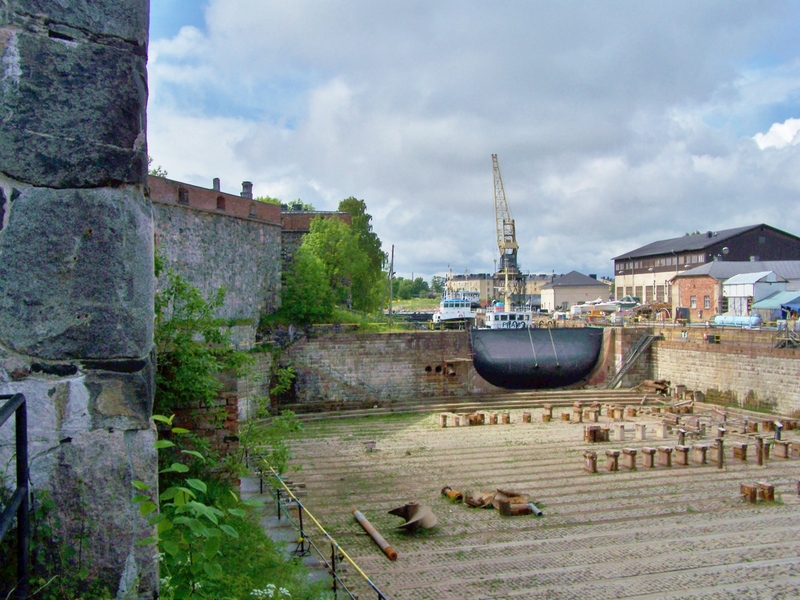 The Jetty Barracks has a recording studio, a post office and is operated by The Helsinki Arts Asociation. It holds high quality arts of the contemporary art exhibits. 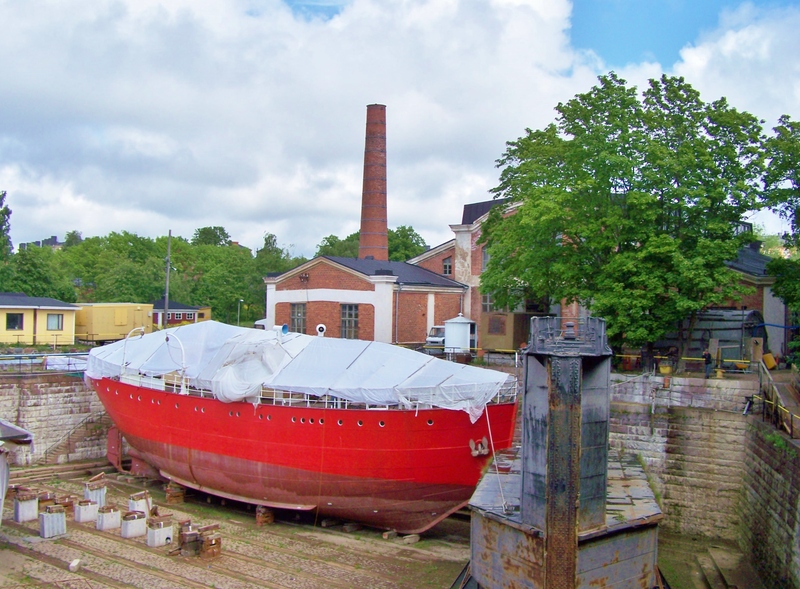 It also houses the Suomenlinna brewery and a café with some mighty fine smoked fish! 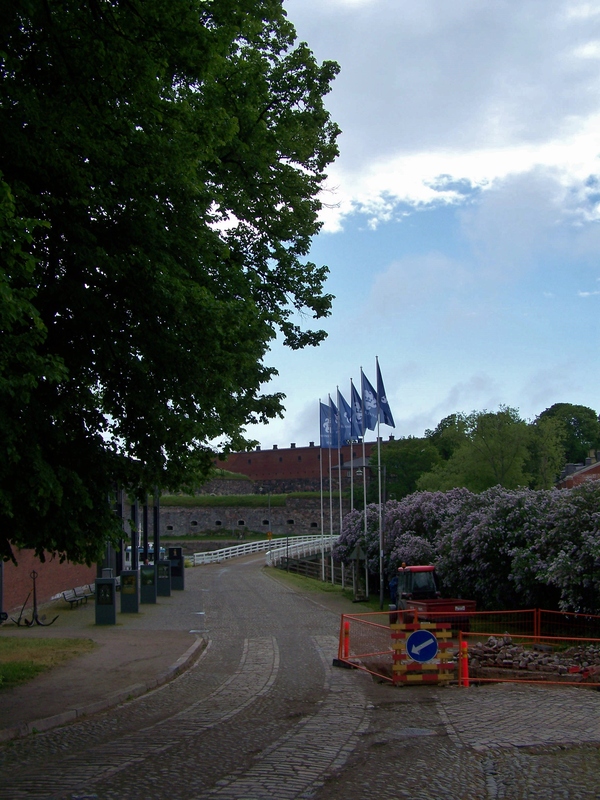 I did not go into The Suomenlinna Prison camp memorial 1918-1919 but if I return, I sure would. I was not there when an event was held but there is an open air theatre with plays, live music. A Military Museum with weapons for you Ted Nugent fans. A Custom’s Museum which one can learn about smuggling. And since I lost a bottle of Salmiakki Koskenrkova at customs, clearly I should have checked out that exhibit. I like things that go boom! 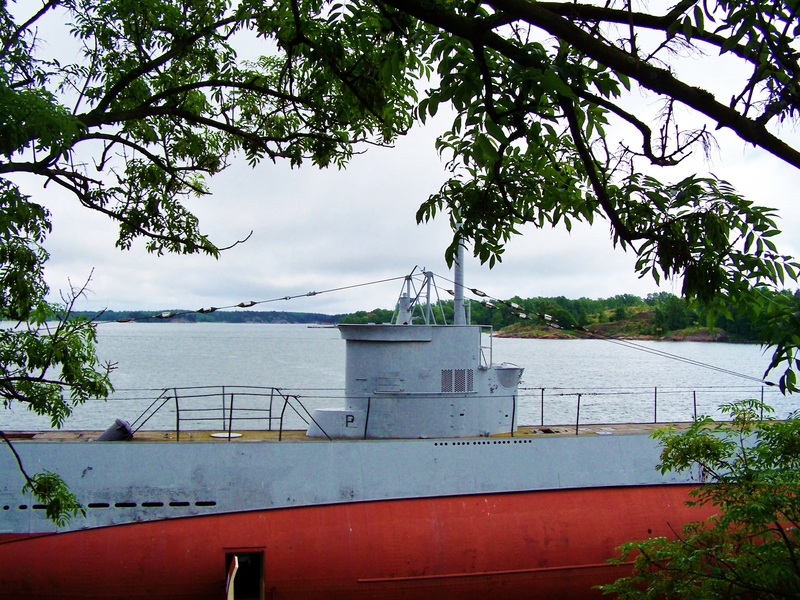 Submarine Vesikko is also a museum-cool! Suomenlinna Russian Orthodox Church. I was pretty well fascinated with the place. Built in 1854 as a military church per Russian Emperor Nicholas I. The church was originally Russian in style with five onion domes. 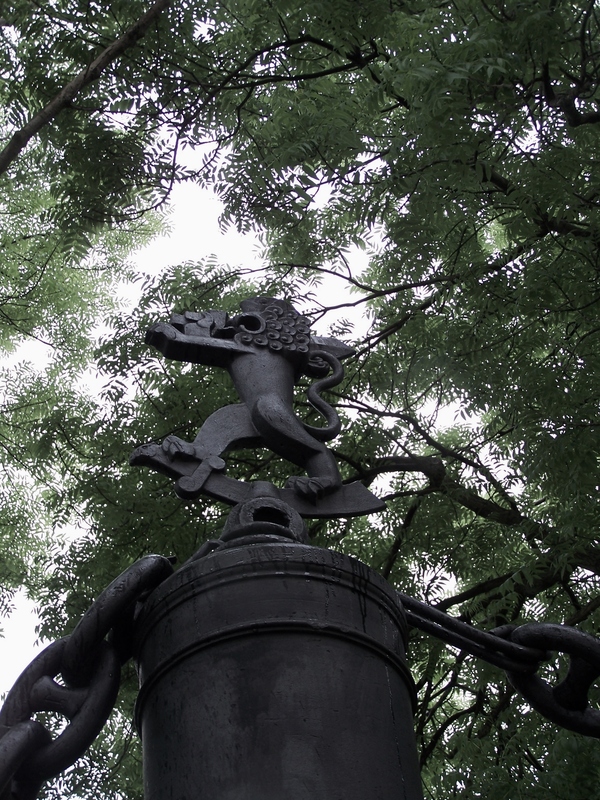 Later surrounded by stone walls, chains and cannons. In the 1920’s the church was what I call “remuddled” and converted into an Evangelical-Lutheran church. Four of the domes were removed. And yet, I understand the religious differences. There is beauty in simplicity and it is history. It is what it is. The church steeple doubled as a lighthouse for air and sea traffic. Now, I read that it is popular for weddings and seats 400. For me, the highlight was the picturesque views every which way my path turned. To the beautiful ships, landscape and sea. Sauntering about in this most picturesque place and pondering war and humanity, reminds me to spread peace for we are ONE! And I like things that make me laugh! Coolest toilet EVER. I have never felt so safe doing my busineess! Megatips: Bring a camera, sit on the can in an underground toilet. Plan for a couple of hours it is a great walk and lots of photographic opportunities. Check out the museums. Stop at the market before you catch your ride and pick up a lunch to eat at King’s Gate while watching ships pass by or check out the brewerey. Leave no trace. Contemplate peace! Go a bit off tourist season/times and have the whole place to yourself. 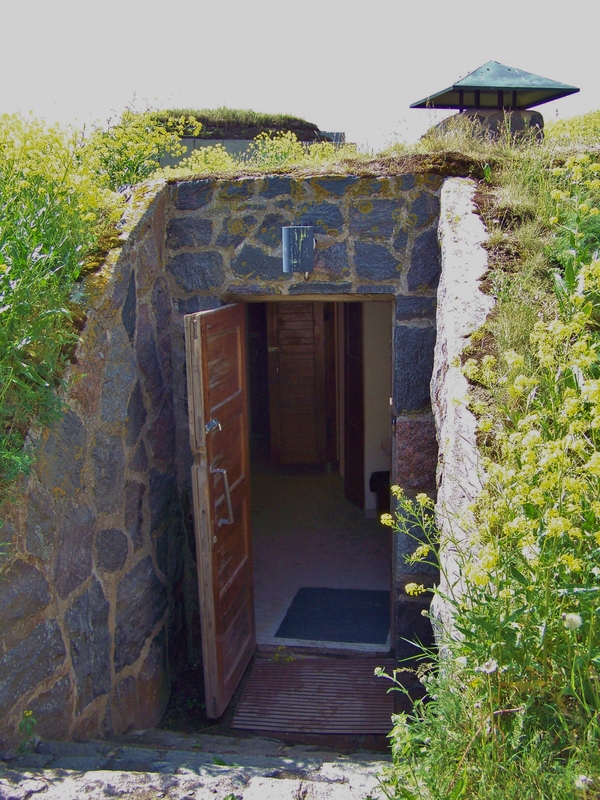 Guided tours are June-Aug. Don’t miss the Ice Cellar a shops area for the arts in the basement of the Jetty and the arts and crafts shop located on Susisaari island portion (right by pier). Plan on spending the day. Do visit the website to figure out what might interest you and then do that or not.